KindyROO kids are excelling academically, emotionally, in leadership roles and on the sporting field. Every parent wants to give their child the best start to school, but we often get caught up with rote learning of numbers, colours, letters and shapes, hoping this will give our child a step-up on the way to formal education. For school readiness however, it is more valuable, to know that your child’s brain and body are ready to learn. At KindyROO we hold specialist School Readiness classes to ensure your child will have the best possible beginning to school life. When all of this is in place, our children can easily take on the task of writing. However, if one or more of these factors are not fully developed, then a child may potentially struggle with the writing tasks at school. This short video on body awareness explains this further. Lots of movement experiences give us an internal awareness of both sides of the body. This allows children to move all their body parts independently of each other, crucial to managing in a classroom environment. By school entry, children should have a preferred hand firmly establishedand be able to cross their midlines. Parents may not be aware that young children have a midline – an ‘invisible line’ down the middle of their bodies, from their heads to their toes. 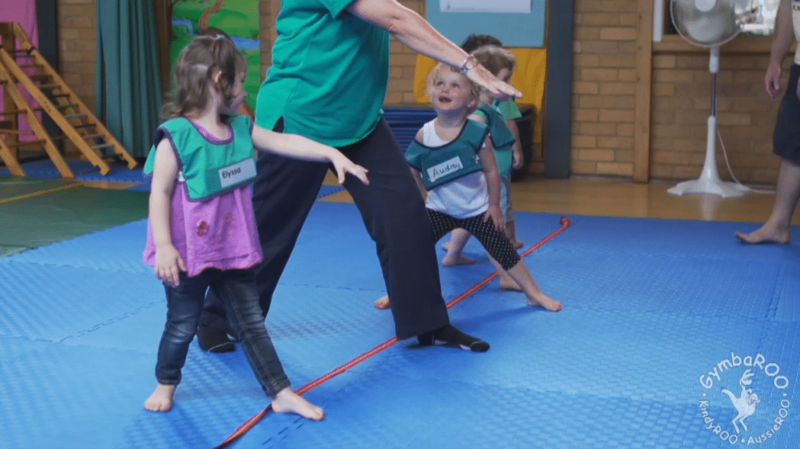 Children need to be able to cross over this midline easily with arms, legs and eyes without twisting their bodies or heads. This ability to cross the midline repeatedly and without difficulty indicates that children are lateralised and are ready for higher-order cognitive thinking. This is crucial for success at school and sport. Children who are not fully lateralised at school risk encountering learning difficulties. 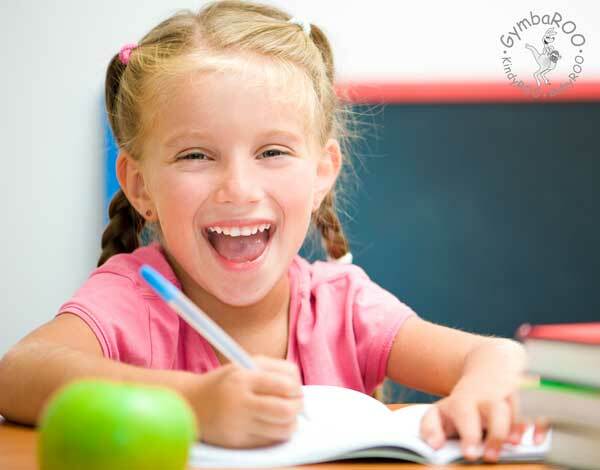 If their eyes do not cross smoothly across the midline, they cannot easily follow words across a page without losing their place, leading to reading difficulties. Writing will also be problematic, as their preferred hand will not cross fluently from one side of their body to the other. This will result in children twisting their paper and sitting awkwardly to avoid crossing the midline, or instead swapping the pencil from one hand to the other as they reach the middle of the page. Not being lateralised will also affect children’s physical prowess and sporting ability. Cross pattern movements – movements that involve crossing the midline and the two sides of the body working well both individually and in unison – will be jerky and uncoordinated and balls skills a nightmare. At KindyROO, every activity in our School Readiness classes is carefully planned to ensure children have the best skills in place to start school. We practice auditory processing skills, visual skills, word recognition and word games, finger and body awareness, motor planning, laterality, temporal awareness, sequencing and directionality, gross and fine motor activities, cross pattern movements, balance and posture – all while we are having fun dancing, singing, spinning, swinging, tumbling, jumping, balancing and laughing! Adapts to unfamiliar settings and new experiences. Can finish a task and tidy up afterwards. Plays cooperatively with other children (shares and takes turns). Can cope with criticism and some frustration without becoming upset. Is responsible for own belongings. Can sit still and listen. Talks to other people about familiar objects and events. Can speak in full sentences, which are grammatically correct. Has a fairly wide vocabulary and can pronounce words clearly. Answers and asks simple questions. Follows a sequence of three instructions (minimum): e.g. put your pencil beside your book, stand up and wait until I tell you to line up for recess. Uses books for enjoyment and for looking at pictures. Can repeat several nursery rhymes and tell stories. Can make up a story from looking at pictures. Can identify the beginning, middle and end of a simple story. Joins in singing familiar songs. Recognises own name when written and understands that written symbols have meaning. Can distinguish between sounds that are nearly the same. Has a preferred hand for skilled tasks. Can jump with two feet together; forwards, backwards and sideways. Can balance on one foot and count to ten. Can hop on each foot and can skip along. Has good body control in running with a cross-pattern action. Is able to march automatically with a cross-pattern action and therefore able to move and think at the same time. This is necessary to carry out verbal instructions while moving. Can walk up and down stairs using alternate feet, without holding on. Can throw, catch and kick a ball with a cross pattern action. Can climb confidently on outdoor equipment. Is aware of all fingers and can use them independently. Can follow a figure eight pattern with eyes teamed (without moving head). Has an internal awareness of two sides of the body and be able to move them independently of each other. Can draw a person with head, legs, trunk, arms and fingers. This needs to come from the child’s internal awareness of the body, not be taught by an adult. Can draw a recognisable house or such-like spontaneously. Can name drawings before doing them. Ability to copy a cross, square, V H T O. Can name colours, can count items 1-20, can name shapes. Can identify which picture is different in a pattern. Understands direction concepts of up, down, across, behind, forwards, backwards, etc. It is important to realise that children without the above skills will still learn. However, children who cannot do a number of the above tasks at school entry are at risk for learning difficulties. Knowing colours and numbers is not enough. For school readiness, children need to be able to think and move at the same time by ensuring they have good balance and coordination. They need to have practiced visual and listening skills, be able to sit still and concentrate, and enjoy facing new challenges. For our children to start school as confident, capable learners they need to have both their bodies and their brains ready to learn. Lyn Jarvis is a qualified KindyROO Early Childhood Neuro Physiological Development Consultant, and GymbaROO/KindyROO teacher trainer.